If this title sounds familiar, it’s probably because you used to peruse a certain lingerie catalogue. But the Victoria I’m talking about here is the capital of British Columbia, on the West Coast of Canada, where I’m currently spending two weeks while getting free accommodation from house-sitting. 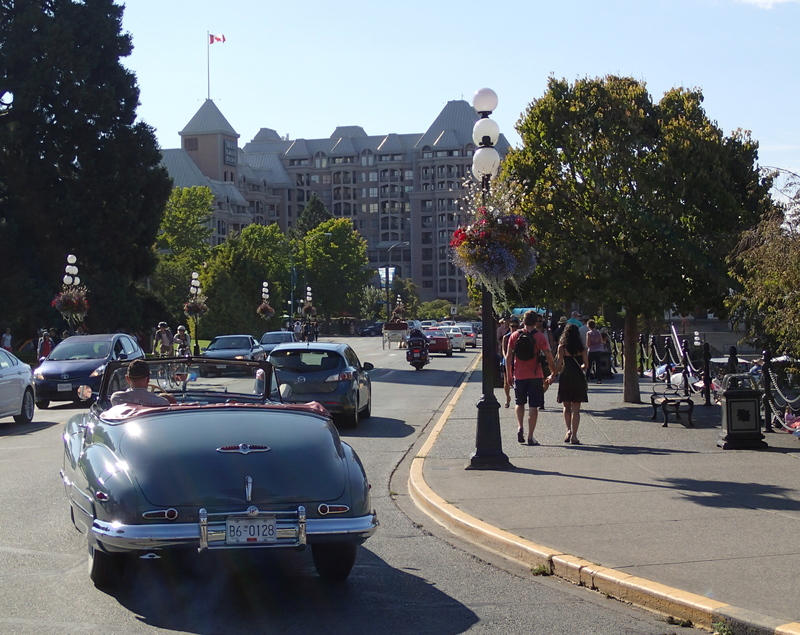 Victoria is on an island, so it’s no surprise to find many marinas and hundreds of sailboats. 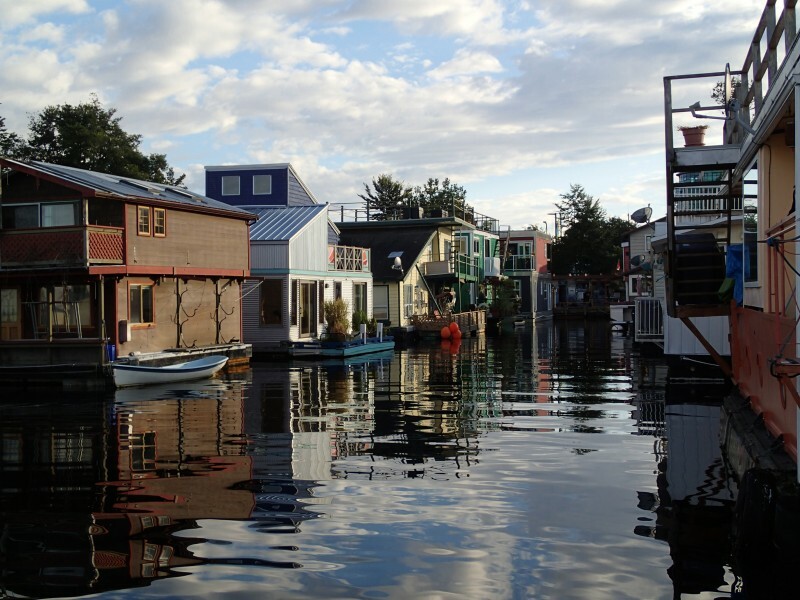 More unusual is the floating village at Fisherman’s Wharf, where 33 floating houses line several “streets”. Most facades are enlivened with architectural details, potted plants, whimsical ornaments, and the occasional cat. The owners live in their houses year-round, are linked to the city’s water and sewer system, and pay a moorage fee, as well as a portion of the wharf’s tax. Being flat-bottomed, the houses do not pitch and roll but they do “shimmy”, rocking their inhabitants to sleep at night. I don’t think I’ve seen so many vintage cars since Cuba. Some of these cars are real head-turners, even for someone like me who doesn’t like cars. However, most of the old cars are not vintage, they’re just, well, old! Think 1970’s or 1980’s. I guess the mild winters and rare frost make it possible to keep cars around for 25 years or more. Victoria is a city of gardens. The maritime climate favours an abundance of large trees, shrubs, ferns and flowers. If you don’t mind forking out the $30 admission fee, Butchart Gardens are certainly the most impressive. But many smaller gardens can be enjoyed for free. 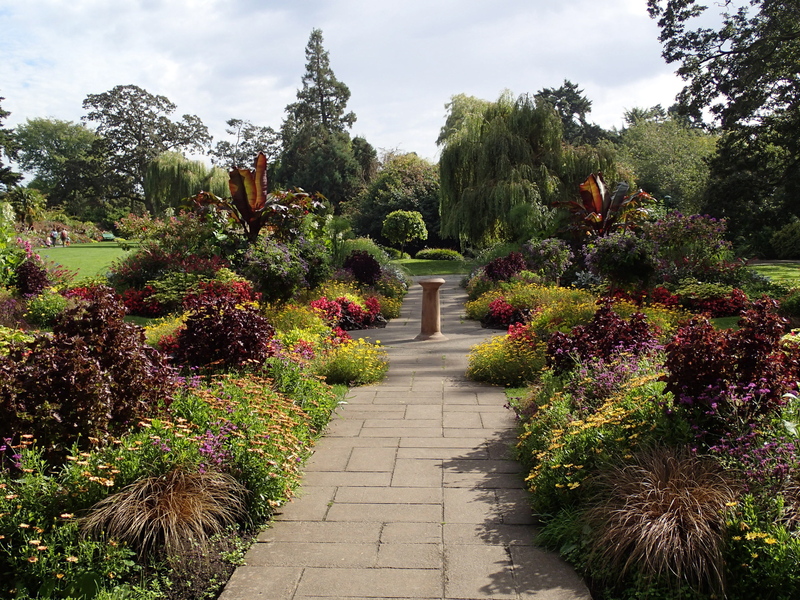 Beacon Hill Park features a lovely English-style flower garden. The grounds of the Lieutenant Governor’s house at 1401 Rockland Avenue are open to the public (for free) and offer a rose garden, herb garden, alpine garden, and native Garry oak trees. Just walking down the street you come across some whimsical gardens on people’s front lawns. And downtown, flower baskets seem to hang from every pole. 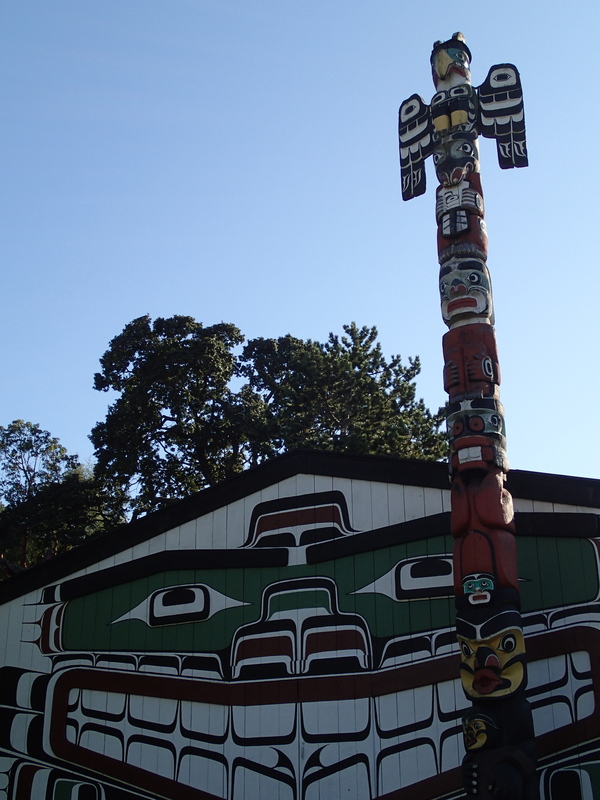 British Columbia has a lot of totems, but Victoria boasts the world’s tallest totem pole, at 127 feet and 7 inches (39 metres). It tapers off toward the top, probably to keep it from toppling over. Totems seem to be the sculpture of choice in civic spaces such as behind City Hall, behind the Royal BC museum, and on the front lawn of the provincial parliament building. I even saw one inside a coffee shop! Seaplanes are ubiquitous in Victoria. They are used for commuting between Vancouver Island, the mainland, and some of the Gulf islands. But they also offer tourist excursions. The best spot to see them take off and land is along the Westsong walkway, a four-kilometre pedestrian path that links downtown with the West Bay Marina in Victoria West. 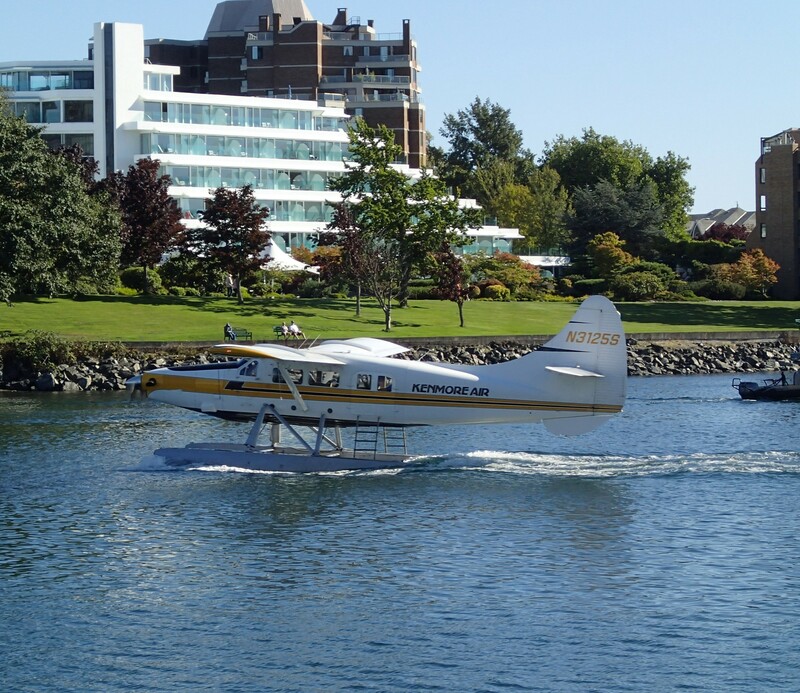 But you don’t have to fly in a seaplane to get sea views in Victoria. 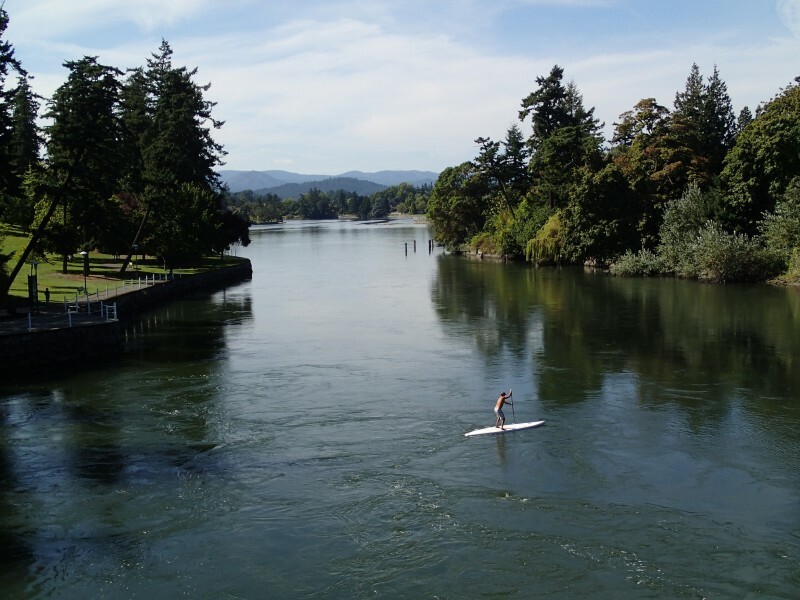 Besides the Westsong path, you can also walk from downtown to Fisherman’s Wharf, Beacon Hill Park and beyond, always staying close to the water. 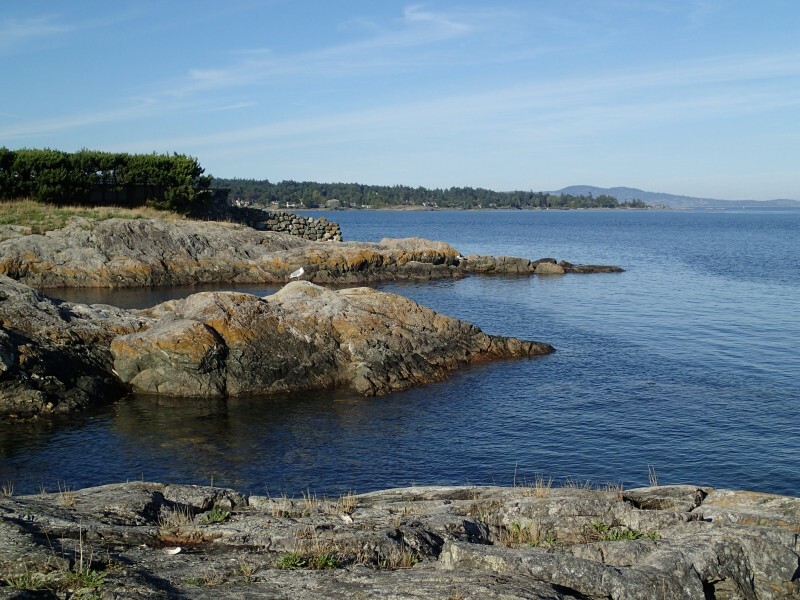 With a bicycle or a car you could go all the way to Oak Bay, passing many small beaches and coves. In the other direction, the Gorge waterway also offers peaceful water views with the occasional water taxi or kayak. Last but not least, the variety and quality of restaurants found in this city is impressive. Being so close to the ocean, fish and seafood are a given. Instead of a “happy hour”, many restaurants offer a “3 to 5 a buck a shuck” oyster feast. 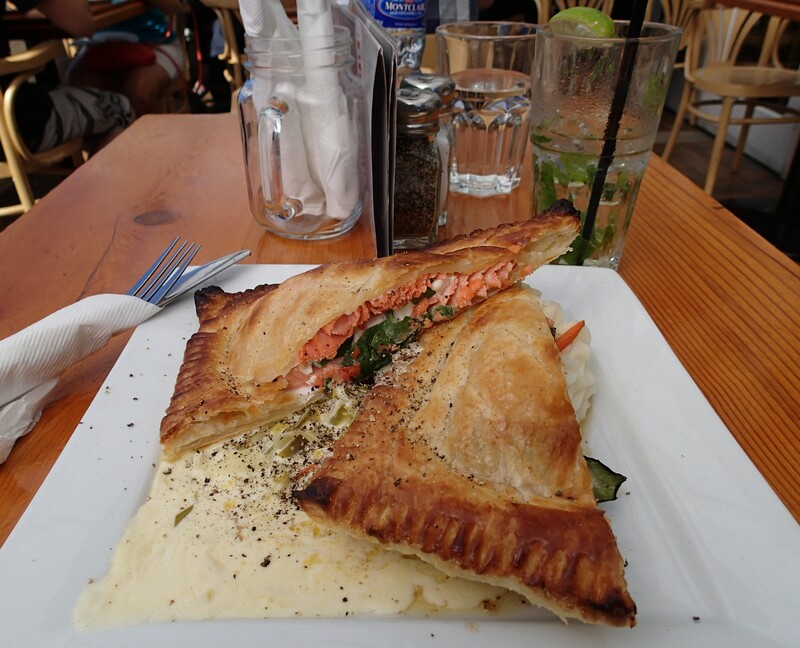 Wild sockeye salmon finds itself on several menus. And so do Fish and Chips. In keeping with its British past, afternoon tea is a tradition that endures in several establishments, not only the famous Empress Hotel. And to my great relief, I saw at least as many independent coffee shops as Starbucks on the streets of downtown. The one I keep returning to is called Cascadia, at 1812 Government Street. 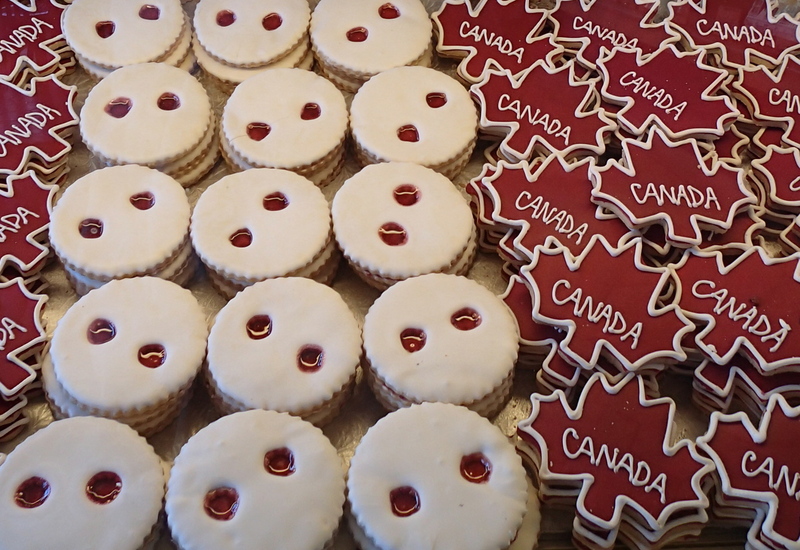 They have yummy baked goods as well. Being located across the Pacific from Asia also means a fair amount of Japanese, Chinese and Thai restaurants. I loved SenZushi, a Japanese restaurant actually staffed by Japanese! And then there is Jam Cafe, a well-priced breakfast/lunch place rated #4 out of 891 on Trip Advisor (for good reason). If you’re a beer or wine lover, there is no need to go back to the mainland. 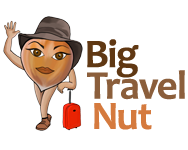 This post lists suggestions for breweries and wineries in Victoria and surrounding areas.